gives you the roadmap for your business digital strategies prioritising your digital activities for immediate and long term gain. We deliver this training with a mix of academic understanding with proven practical skills designed to suit busy marketing professionals. We recently delivered this training to a marketing team at Prometheanworld, a global brand providing Smart Technology to Schools. Like all Online Seller UK training, this was a tailored course to suit our attendees. The day went well as planned and we explored PR Smith’s SOSTAC planning model to draft a digital marketing plan. We made this training really engaging with business specific examples and drafted a digital marketing plan for next 12 months including Environmental analysis, Customer profile, Competitor analysis, SWOT analysis, Strategy formulation, Online Marketing Mix and Key Performance Indicators ( KPI ). Generally, strategic planning training like this can be very involving with academic research and business models but its implementation gives strategic direction to any business large or small. It is the day well worth spending. You will get a practical tutor led training and go away with a plan to work on. That’s what the team at Promentheanworld achieved and gave us this testimonial. 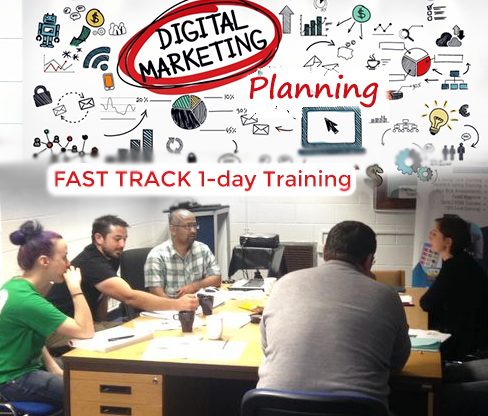 We run Digital Marketing Planning training throughout the year in Manchester, Birmingham, Bristol and Cardiff. This training is suitable for any marketing professional or company directors. Please visit our website for latest training schedule or if you wish to have a onsite training please get in touch and we will schedule a day for you.